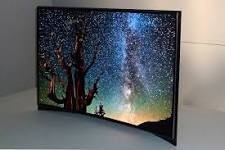 Apparently the hot, buzzy thing at CES this year is the curved OLED TVs. I saw one – it’s very very pretty. And much like the last 2 attempts by manufacturers to stir up interest in buying new sets, this just isn’t going to cut it. All of the above occurred in an effective blink of an eye. There were so many reasons to to upgrade, it just had to happen. But now that these beautiful, thin, huge displays got mounted on peoples’ walls, it’s become a lot harder to unmount them. I don’t even want to think about doing it – and I don’t think the manufacturers have yet presented us a reason to follow along. Smart TV? OK, if I’m buying a new set. Or I just get an Apple TV, Roku, Xbox, Playstation, Chromecast, etc. I gain very little benefit from an actual set upgrade, compared with the cost of an add-on box that I can easily replace. It’s akin in my eyes to paying the extra $3+K for an in-dash GPS unit as opposed to buying a $100 Garmin, or just using my phone. 2nd try: 3dTV? Personally, I actually avoided one the last time I bought a set (63″ Samsung plasma – yes!). Turns out I wasn’t the only one, and 3d was (as I predicted it would be) quite a failure. Batter up…. CURVED SETS! Huh? Don’t get me wrong – they are pretty in so many ways. Thinner than my iPad – love it, very slick. But would I even consider the hassle of the upgrade for it? Same deal for 4K – just not *enough* to cause another societal shift for “MORE”. Further, I think the curved nature of the device is an ill-fit for most living rooms, where the benefit of super-thin is eliminated by the odd shape in the room. Has anyone checked if these things are Feng Shui? Sooner or later we’ll likely find the next big reason to upgrade displays, but it’ll have to rank in there in the leagues of when TV was first available to the masses, to when it first went color, to the current state, before it happens.